El XXII Folklore Festival of Villaviciosa "II Memorial Luis Alonso", with three groups participating this year: the group "Virgen de la Vega" (Murcia), the dance group of Maragatería (Astorga) and the host, the folkloric group of Villaviciosa "Aires de Asturias", It is celebrated on Saturday 26 of July. The parade of the groups will start at seven in the afternoon and will go through the main streets of the village until you reach the Town Hall Square, where, at eight o'clock, several performances will take place. 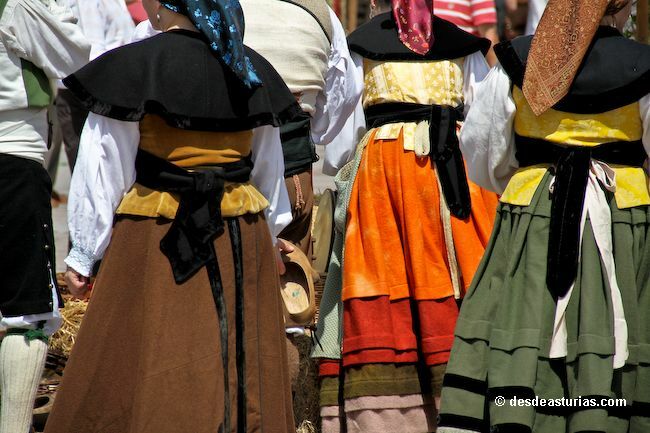 Also, in Valdediós between the 1 and the 8 in August, it will take place the IV Organ Cycle of Villaviciosa. The organists Roberto Fresco and Susana García Lastra, a native of Villaviciosa, will be the protagonists. The concerts will be at eight thirty in the afternoon at the church of Santa María de Valdediós. Roberto Fresco is the titular organist of the Cathedral of Santa María la Real de la Almudena in Madrid and organ teacher of the Katarina Gurska Higher Education Center, also in Madrid. Susana García Lastra, born in Villaviciosa, began her musical studies at the Oviedo Conservatory of Music, obtaining the title of piano teacher at 1984. He began his organ studies in Oviedo with Antonio Corveiras, finishing them at the Superior Conservatory of Seville. Musical and theatrical programming of "El Patio del Ateneo"
Friday 1 of August: Cachicahe Theater presents "A heart full of rain". Friday 8 of August: Black Coffee, quintet of versions of classics of soul, funk and r & b.
Friday 22 August: Taranus, folk metal group. Friday 29 of August: Blues & Decker, band of blues and rock. 2 answers to "Summer music in Villaviciosa"